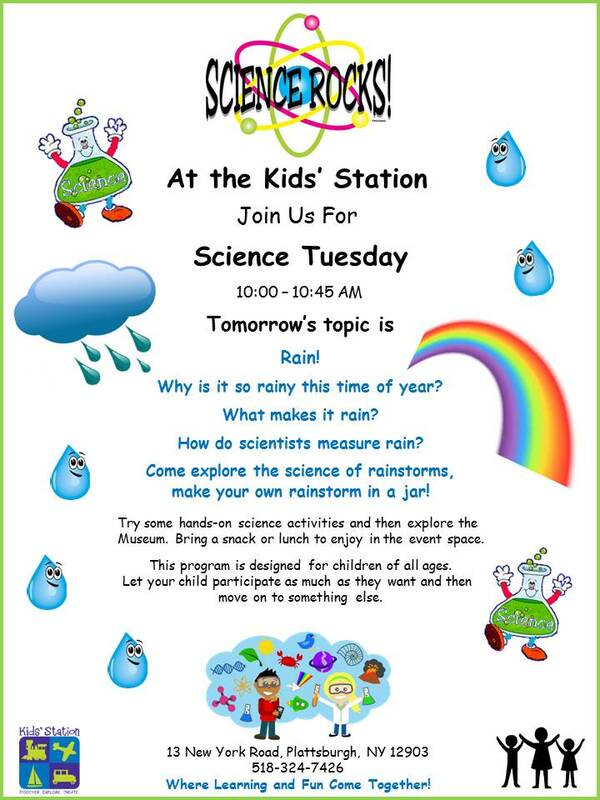 Reminder, tomorrow is Science Tuesday. 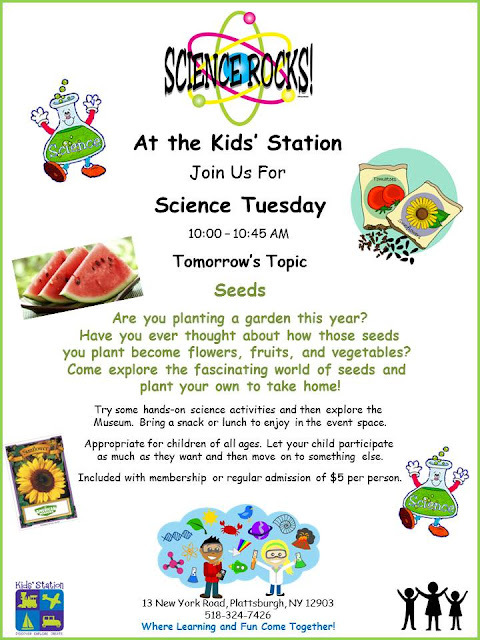 Visit the Kids' Station and learn about seeds. 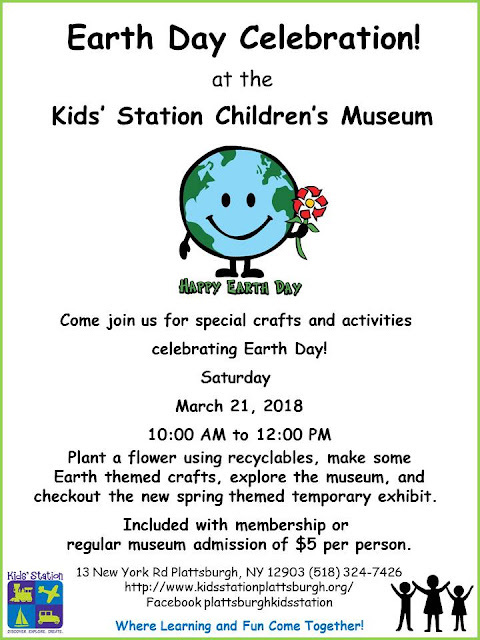 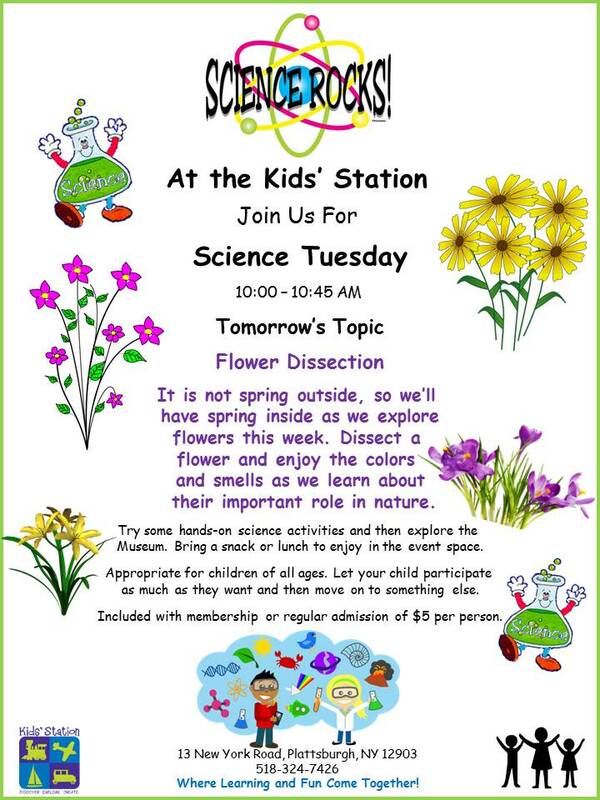 Join us tomorrow for some flower fun! 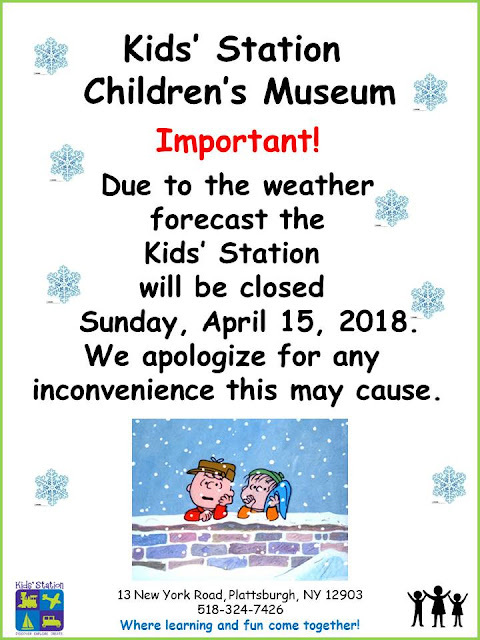 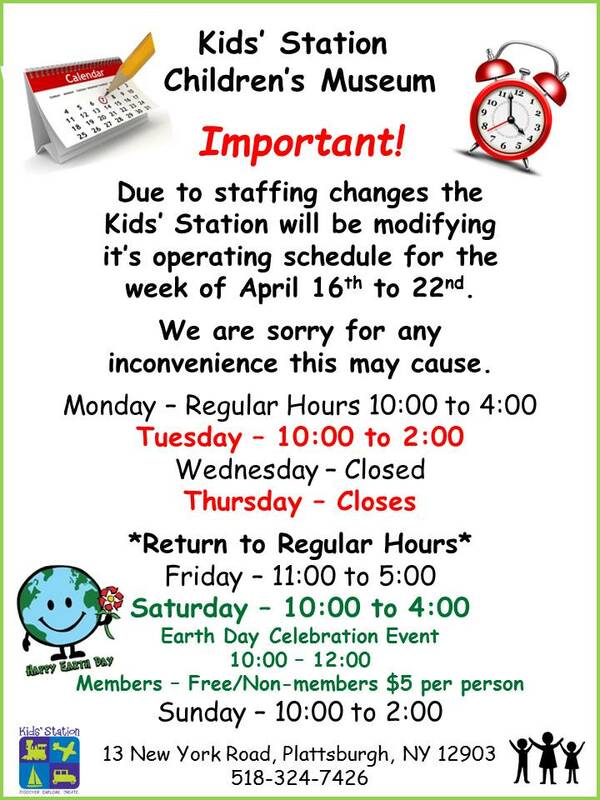 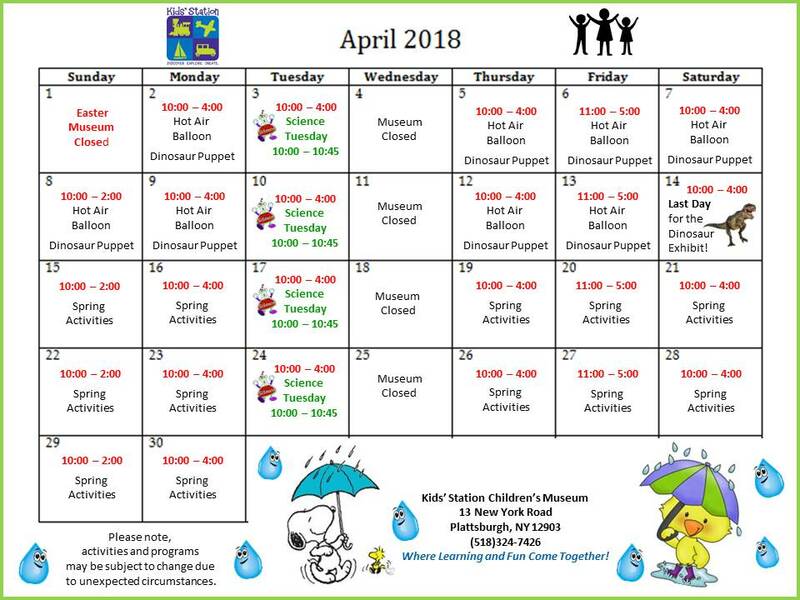 The Kids' Station will be closed Sunday, April 15, 2018. 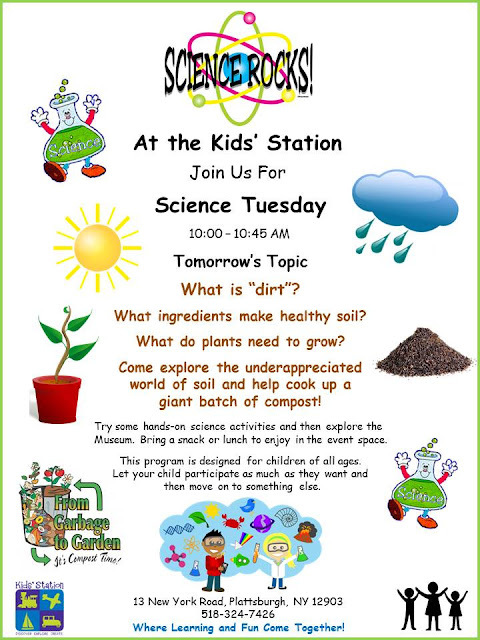 Join us tomorrow at Science Tuesday for some fun with "dirt"! 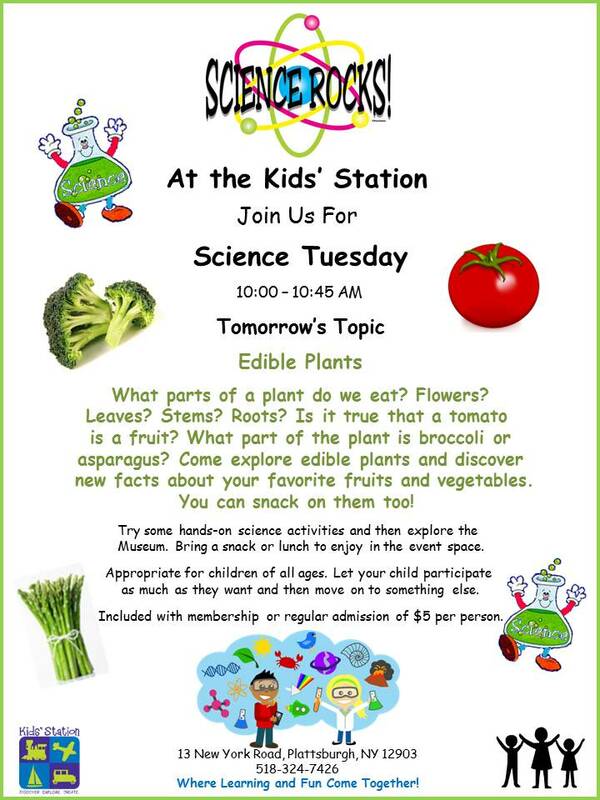 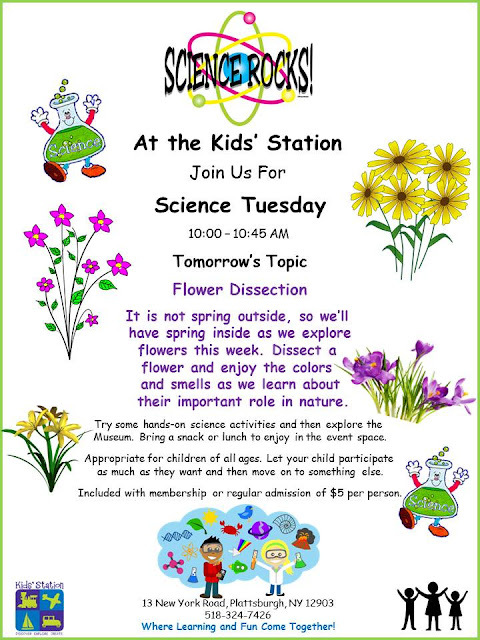 Tomorrow is Science Tuesday stop in and check it out!